Debbie serves in our associational office as full-time associate. Debbie has a degree from Wallace State Community College in Business Management. She has been an active member of First Baptist Church of Fairview for more than 25 years, where she has served as Sunday School Teacher, Discipleship Training Teacher, Mission Friends Teacher, and Discipleship Training Director. Currently, she serves as the WMU Director and VBS Kitchen Coordinator at her church. In addition to her activities at her home church, Debbie has been active in the ECBA WMU, serving as ECBA WMU Director for many years, and continues to serve on the ECBA WMU team. She and her family have also served on several ECBA Construction Mission Trips. Debbie has been married to her husband Keith for over 29 years. They have two sons. Justin is a Junior at Athen's State University, where he is pursuing his Bachelor's Degree in Elementary Education and Special Education. Kyle graduated from Auburn University's Architecture & Design Building Science Program in May 2016. He married Brooke Hamm Keaton in August 2016. Sonya serves as our Associational Clerk. She is a member of Center Grove Baptist Church. 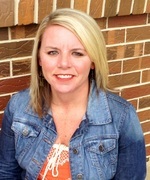 She also serves as the church secretary at Center Grove and serves in the youth ministry. Sonya is married to Jerry Burtis and they have two sons, Preston and Jacob. Gary has served as Pastor at West Side Baptist Church in Eva, AL since 2007. He is married to Carolyn Peebles. Patrick Morton has served as Pastor of New Hope #2 Baptist Church since 2012. He is married to Becki Morton. Welcome to the East Cullman Baptist Association! We are an association of fifty-four independent, autonomous churches who choose to cooperate for missions, ministry, education and fellowship. Each church is unique in personality and style of worship, yet we share in common Baptist distinctives and doctrines. We extend a special invitation to you to share worship with any of our congregations. You will find a warm welcome and an opportunity to experience the grace of our Lord.